As far as paint goes she is what you would expect from a figma with fine details, well executed and with no miss-paints. Her sculpt is also spot on capturing her cuteness and also the movement in her clothing looks great when she is wearing her roller-skate gear. As for articulation she uses all the standard joints and as per usual in only a few places is her movement restricted by the sculpt. 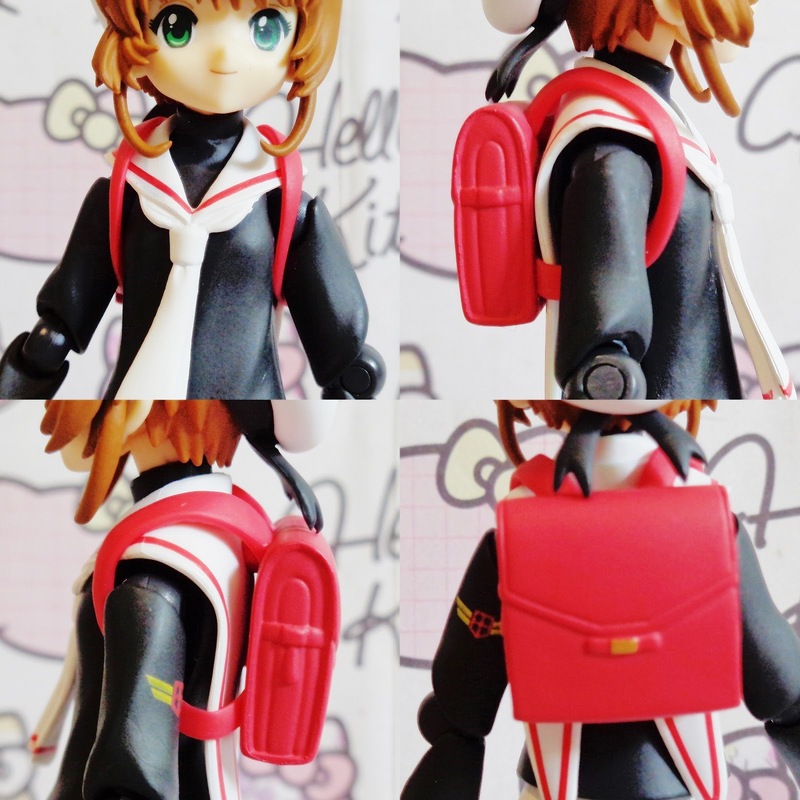 She cannot look up very far and her waist movement is somewhat limited but these are common problems with figmas. 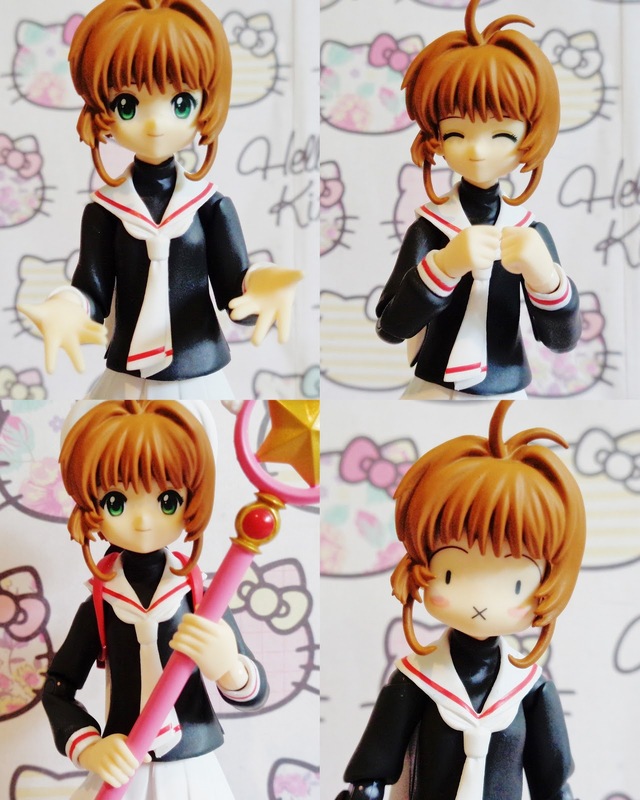 Sakura comes with three face pieces, the default happy face, a very happy face, and the hilarious embarrassed face. As for hands you get open hands as default, a pair of fists, and hands for holding items. 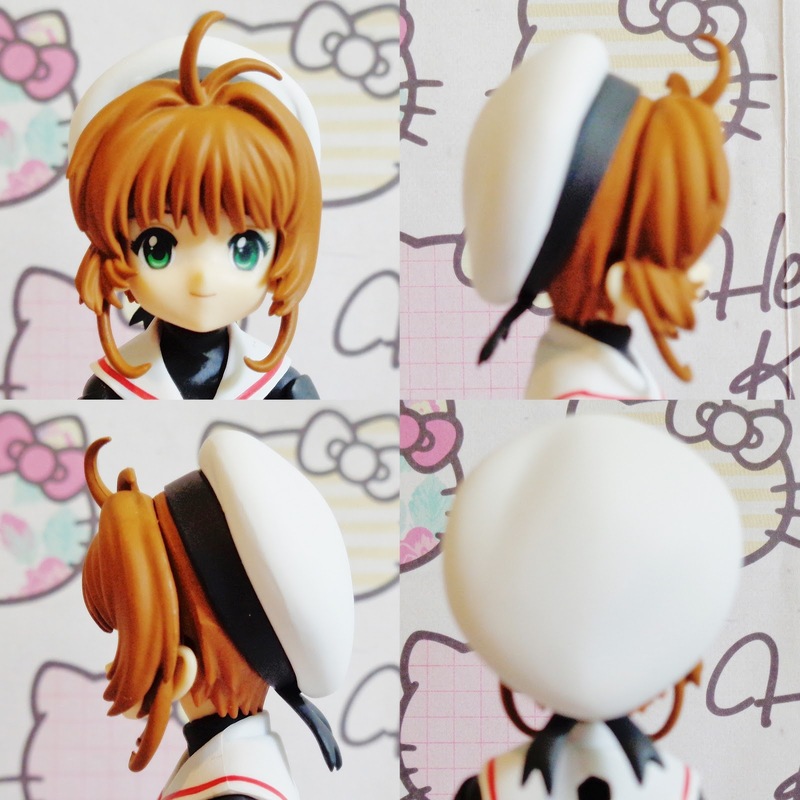 She also comes with two hair pieces one without her hat and one with. And then there is her school bag which plugs into her back. Now it can be tricky to put the bag on her even though they show you how to do it. Personally I can't get my figmas arms to come off at the shoulder so I have to twist her arms about and slowly ease the bag over one arm and then another - not ideal! Then there is the main draw of this figma, the extra arms and legs to recreate her roller-skating. The elbow and knee pads are made of soft plastic so they don't hinder movement which is great. 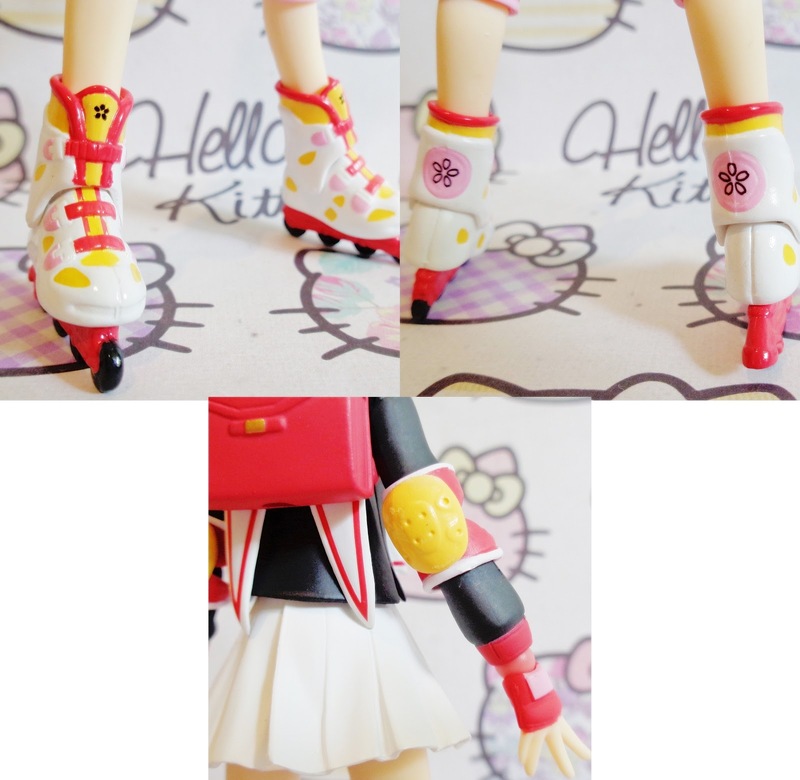 The paint is also really good here with nice sakura details on her skates. 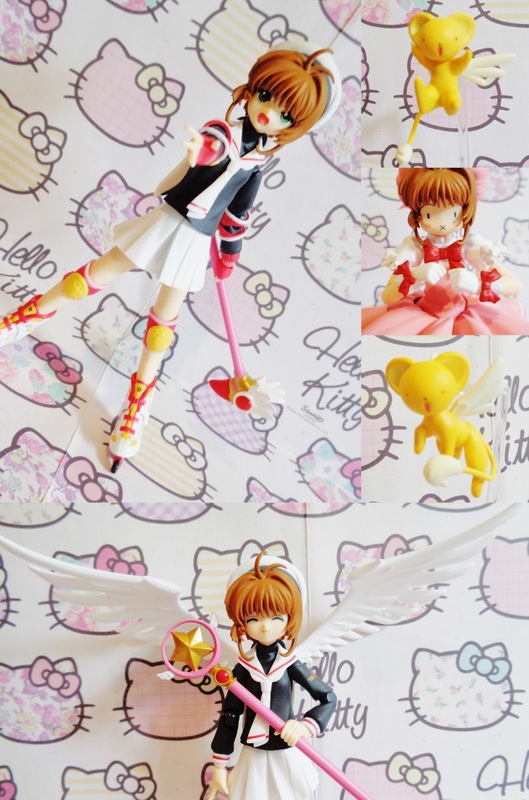 The final accessory Sakura comes with is Cerberus a.k.a Kero and he is cuter than the previous one. This time he is floating in a triumphant and happy pose and once again his head is on a ball and socket joint allowing some movement. 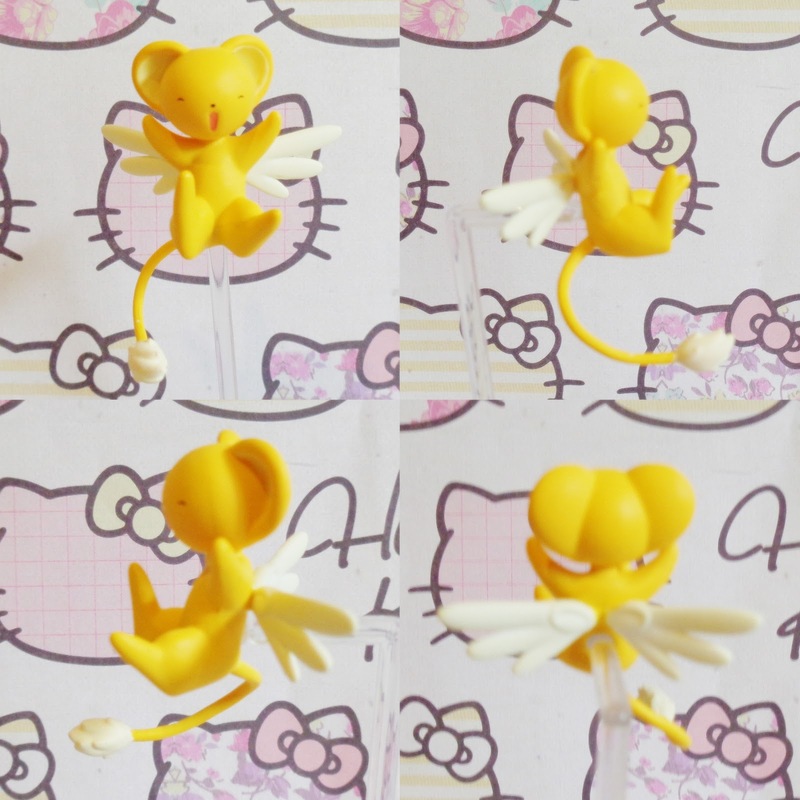 The great thing about the Sakura figmas is that they are interchangeable so you can swap faces and accessories between them, even Kero's heads can be swapped. 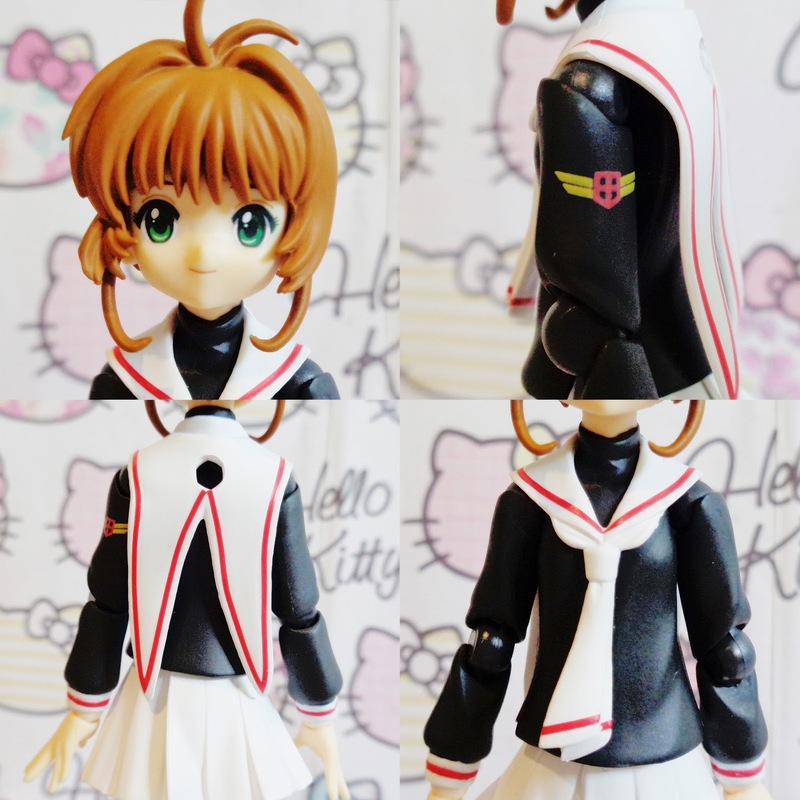 Overall I highly recommend this figma and I personally cannot wait for them to bring out more version of Sakura in her various outfits and with all the different versions of her wand (fingers crossed for the sword version).